Home 2017 Franco Morbidelli motogp Valentino Rossi Valentino Rossi celebrates Franco Morbidelli: "Fierce him, he will be strong even in MotoGP"
Valentino Rossi celebrates Franco Morbidelli: "Fierce him, he will be strong even in MotoGP"
The nine-time world champion at the seventh heaven for the sneaky success of the first pilot he wagered for his Riders Academy: "I'm very proud of what Franco did if he deserved this World Championship driving a higher level, winning 8 races. It's a pleasure to work with him. " 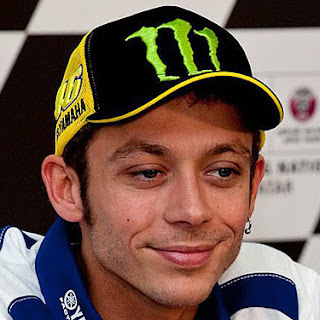 It is difficult to see Valentino Rossi to celebrate the victories of others, but for the title in Moto2 by Franco Morbidelli, the Doctor made a trick to the rule, leaving a sincere and overwhelming look. The Tavullia champion waited for the neo camp of the middle-class world on track and embraced it and celebrated it with a truly remarkable carriage.
" I am very pleased and very proud of Franco, who deserved this title because this year he was at a higher level than anyone else, he has won eight races, which means that he has dominated the season, what can he do in MotoGP next year "I think he will be able to compete with MotoGP right away. True, we will be rival, we will talk less about technical issues but I do not think our relationship will change too much, there will be no big problems "
Runners on track but friends out, as it was at the time of Simoncelli landing in MotoGP. The feeling between Valentino and Franco will not crash into duels on the track. After all, it will only be a prolongation of what is happening at the Ranch, where for years the two resent themselves on the cross and dirt tracks, always gas wide open. The nine-time world champion at the seventh heaven for the sneaky success of the first pilot he wagered for his Riders Academy: "I'm very proud of what Franco did, if he deserved this World Championship driving a higher level , winning 8 races. It's a pleasure to work with him. "